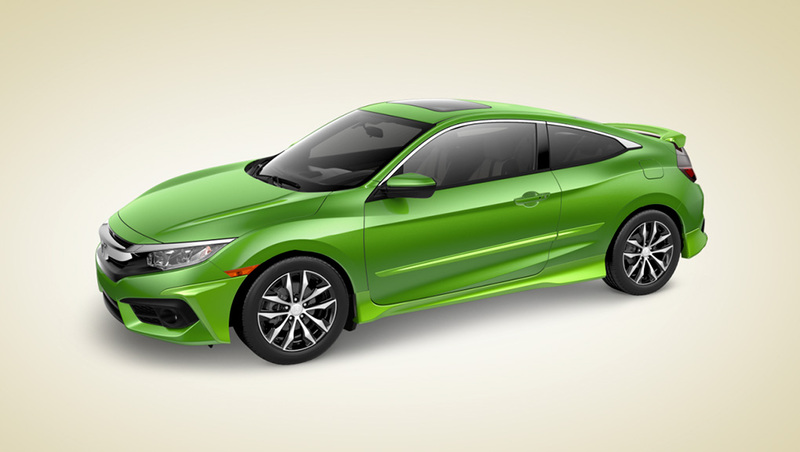 The 2017 Civic coupe is sleek and stylish on its own. If you really want your Civic to stand out on the roads, then you have to see the Head Turner Package! The Head Turner Package is exclusively available for the 2017 Civic coupe! It includes the Aero kit, a rear-wing spoiler, and 17 inch aero wheels! If you would like to see pictures of the 2017 Civic, click here! Want to learn more about accessory packages? Click here for details on the 2016 CR-V packages! Click here for details on the 2017 Ridgeline packages! Click here for details on the 2016 Odyssey packages! Click here for details on the 2016 Fit packages!